Ever since bringing devotion to Saint Jude from Spain to New Orleans in 1903, the Dominican Friars have been spreading recourse to the Patron Saint of Lost Causes throughout America! The Dominicans are also great promoters of the Rosary. It was our founder Saint Dominic who, according to tradition, received the Rosary directly from Our Lady. With the founding of the Rosary Shrine of Saint Jude in the 1920’s, the Dominican Friars have combined these two powerful devotions and gratefully remember the Shrine’s patrons with frequent Masses and Novenas for their prayer intentions. Your offerings to the Rosary Shrine of Saint Jude support our student brothers on their path to the priesthood. 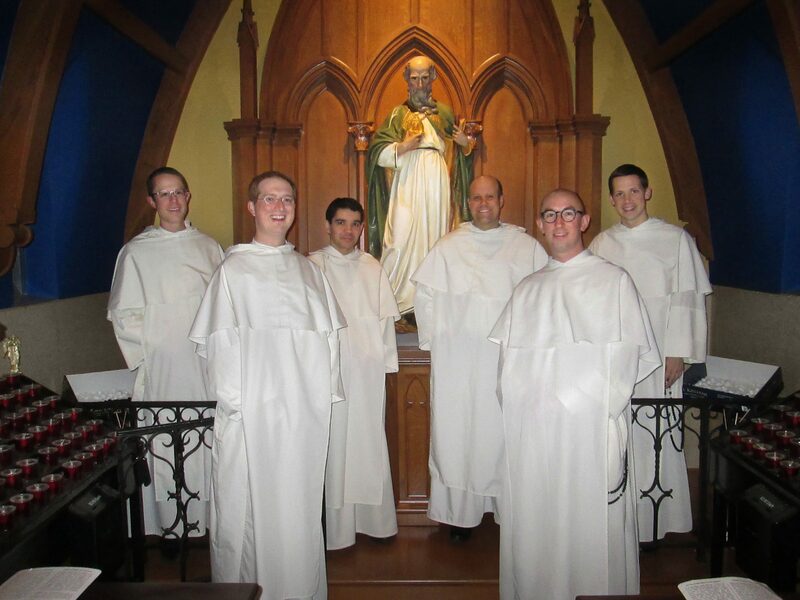 The six men pictured above will be ordained to the priesthood on May 25. Use the form below to enter your intentions in our upcoming Novena of Masses at the Shrine (donation required).